From Detroit's finest meeting and hotel space to finding the perfect vendors, the DMCVB staff will help get your event off the ground with flying colors. Downtown Detroit’s full-service convention center features 2.4 million square feet of usable space. Metro Detroit’s premier convention and expo center with an attached hotel. Don’t be mainstream – book your hotel block at Detroit’s growing roster of funky, historic and downright gorgeous boutique hotel properties. Downtown Detroit has a diverse mix of hotel and lodging options. Check out our contemporary casinos, historic landmarks and legendary glamour. From upscale properties to big name brands, there is no shortage of hotels in the metro Detroit area. Our suburbs are just as great as the city. You want to be as close to the convention center as possible. We get it. Luckily, you have a few options for your stay in downtown Detroit. Not to brag, but we have one of the best convention and meeting services team in the country. Let us help you pick the best service providers to make your meeting run flawlessly. We have airport shuttles. We have a street car system down the center of the city. We have a People Mover taking attendees from Cobo to other hot spots in the city. And also, we are the Motor City, so we have one of the most efficient road systems around. 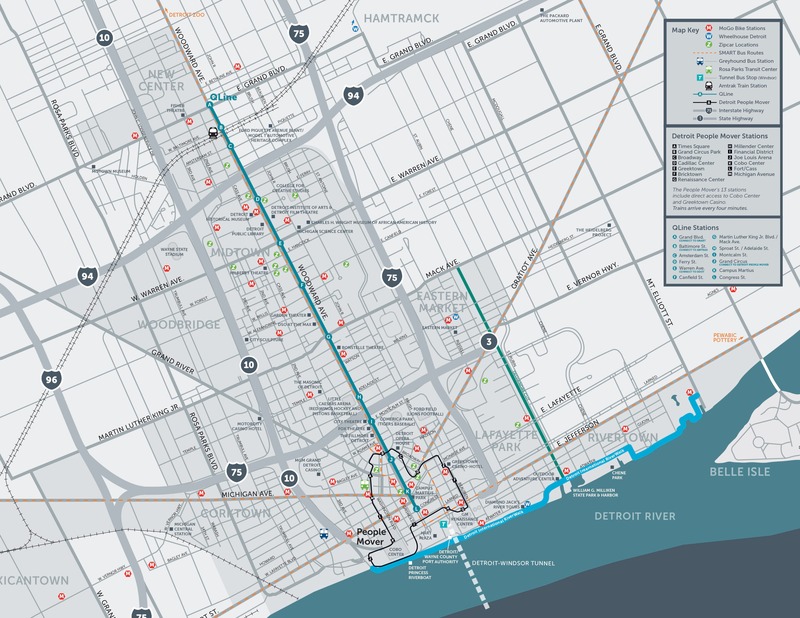 We have Detroit maps, photos, videos, fast facts and more. As if you need more reasons to convince your attendees to come to Detroit!